Start your night out with a nice Thai style dinner (optional). Afterwards it’s show time! Red curtains and long legs and feathers, that’s Calypso’s trademark. It’s the human being’s natural beauty – live on stage. We constantly strip down decorations and costumes to the bare necessities. 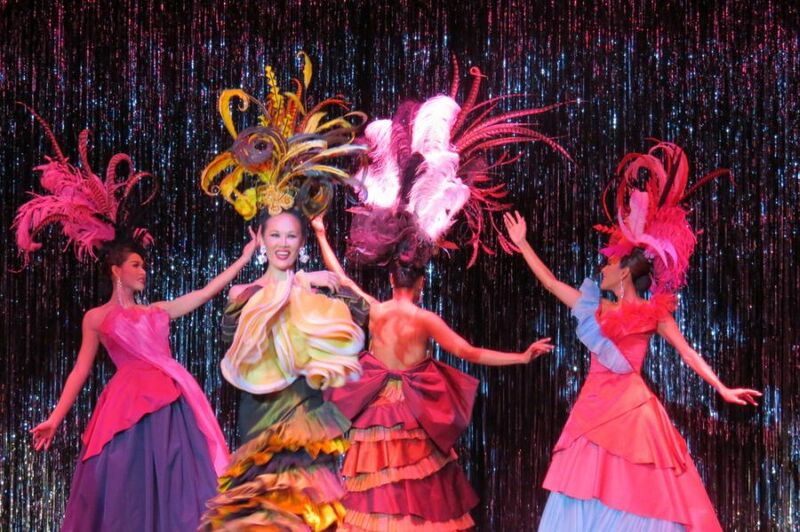 You will experience a more entertaining element of Bangkok’s colorful nightlife at one of the city’s cabaret shows. Bangkok’s most spectacular show will dazzle you with stunning costumes as will the beauty of the performers in this larger than gay show and highlight the specific talents and abilities of the actors and actresses. It’s possible to book this show including dinner for an extra 500 baht per person.